Congratulations to you as we bring to your notice, the results of the First Category draws of THE MICROELEC LOTTO PROMO INT. We are happy to inform you that you have emerged a winner under the First Category, which is part of our promotional draws. The draws were being officially announced on the 14th of September, 2007. Participants were selected through a computer ballot system drawn from 2,500,000 email addresses of individuals and companies from Africa, America, Asia, Australia,Europe, Middle East and Oceania as part of our International Promotions Program. Your e- mail address, attached to winnining numbers 99892 consequently won in the First Category. 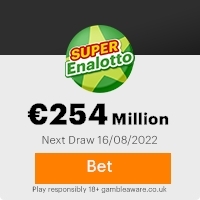 You have therefore been awarded a lump sum pay out of 1,000,000.00eur (One million euros), which is the winning payout for Category A winners.This is from a total cash prize of 10,000,000.00 Million Euros shared amongst the first Ten (10) lucky winners in this category. Your fund is now deposited with the paying Bank.In your best interest to avoid mix up of numbers and names of any kind, we request that you keep the entire details of your award strictly from public notice until the process of transferring your claims has been completed, and your funds remitted to your account.This is part of our security protocol to avoid double claiming or unscrupulous acts by participants/nonparticipants of this program. Please contact your claims agent immediately for due processing and remittance of your prize money to a designated bank account of your choice. You are advised to contact the agents by email,phone or fax. Failure to do so may warrant disqualification. NOTE: For easy reference and identification, remember to quote your winning numbers in your correspondence with your claims agent. To file for your claim, please contact the fiduciary agent with your winning numbers, tel/fax numbers and full names. All winnings must be notarized to complete the claim process; winners will be referred to a Foreign Transfer Manager,to have their winnings notarized. This Email with the Subject "RESULTS FOR CATEGORY "A" DRAWS" was received in one of Scamdex's honeypot email accounts on Sun, 16 Sep 2007 12:21:25 -0700 and has been classified as a Generic Scam Email. The sender shows as "MICROELEC LOTTO PROMO INT. " <fiduciarycen231@aim.com>, although that address was probably spoofed. We recommend that you do not attempt to contact any persons or organizations referenced in this email, as you may expose yourself to scammers and, at the very least, you will be added to their email address lists for spam purposes.